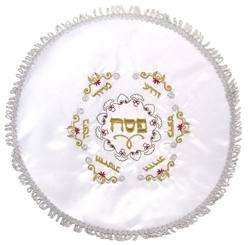 Round terylene matzah cover with simple embroidery. 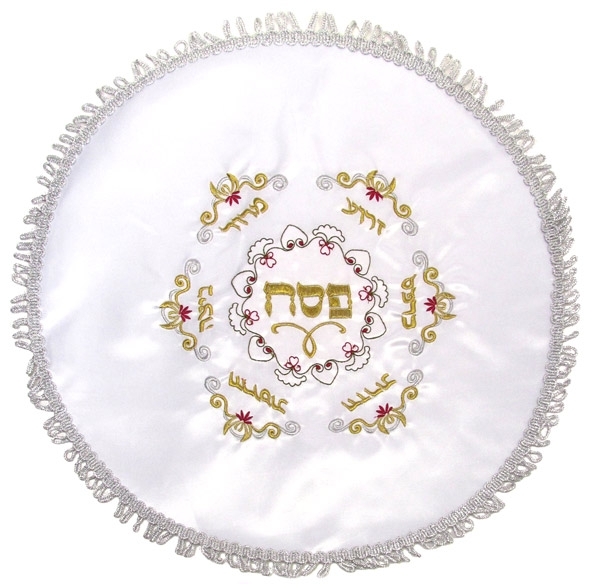 Has pockets for the three matzot. Measures 16"